Getting ready for a Halloween party? Looking for things to make for halloween? 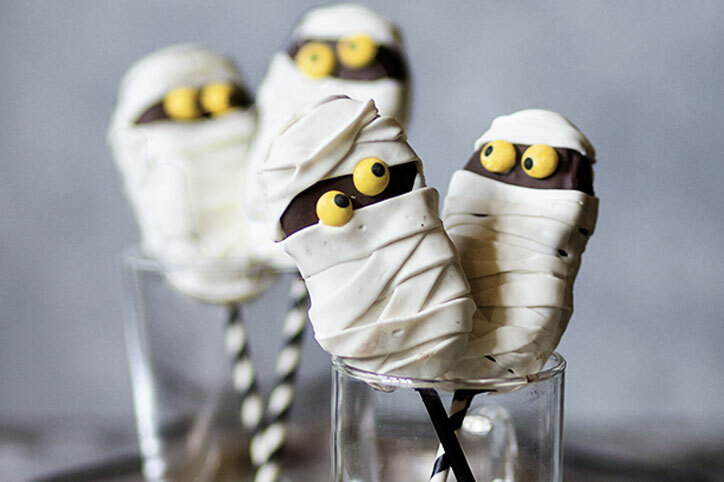 Here are 13 spooky cute treats that will make you the life of the party. 1. 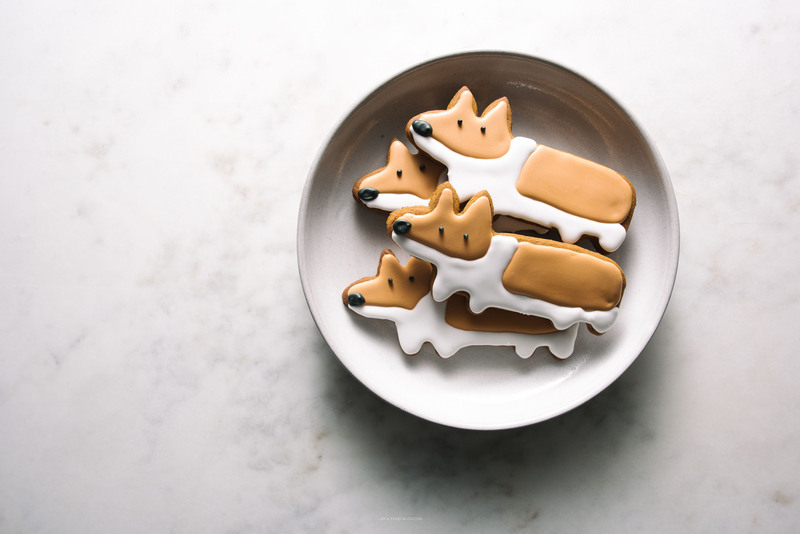 Gingerbread Corgis: sweet and no-so-snappy, these gingerbread corgis are full of fall spices. 2. 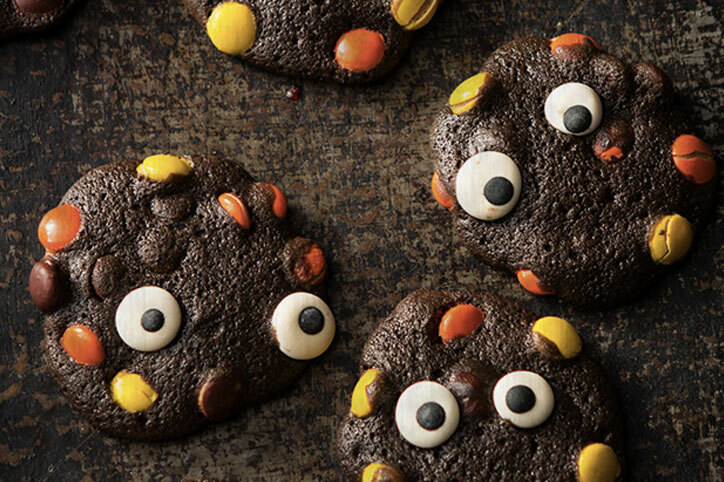 Double Chocolate Monster Cookies via Bakers Royale: these guys look so chocolatey delicious. Love the candy eyes! 3. 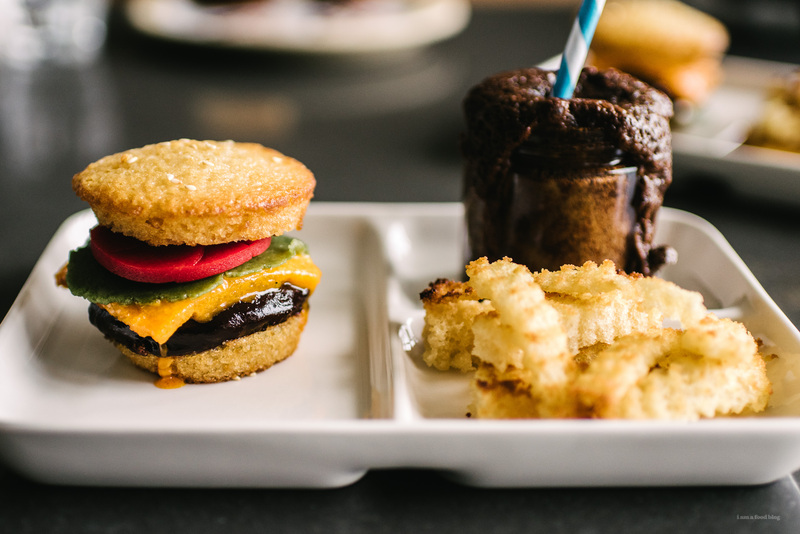 Chocolate and Vanilla Cake: cake dressing up a fries, a burger, and coke? Too cute! 4. 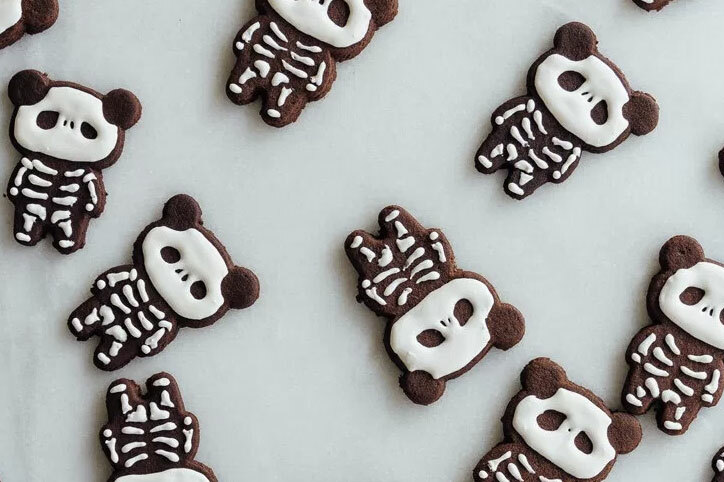 Skeleton Bear Oreos via Fork to Belly: open faced oreos that are the epitome of spooky-cute! 5. 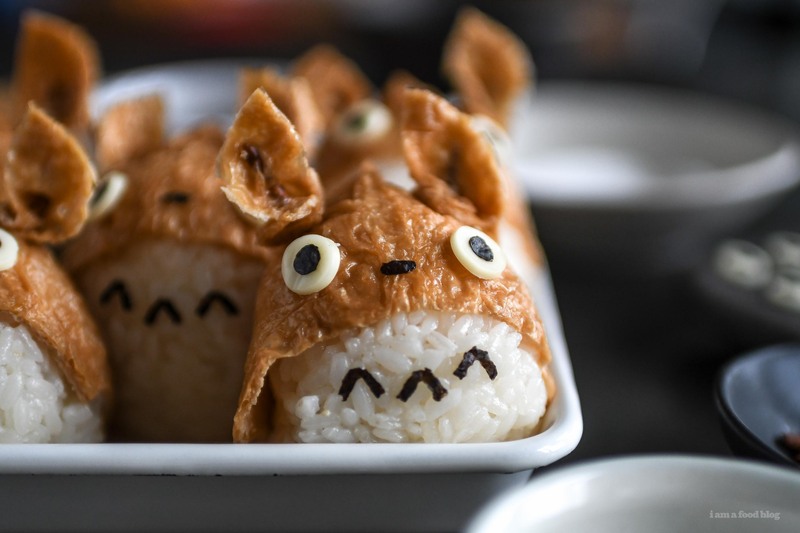 Totoro Inari Sushi: are they cats, are they bunnies, who knows? 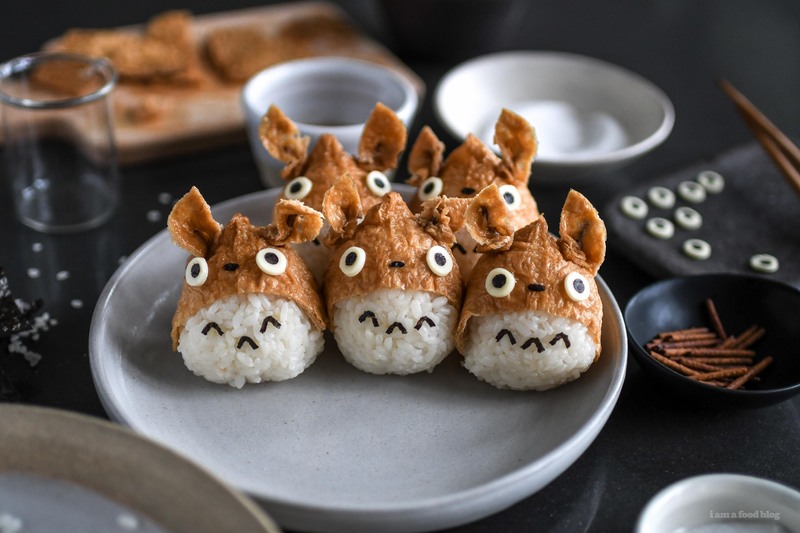 They’re cute and sushi, good enough for me! 6. 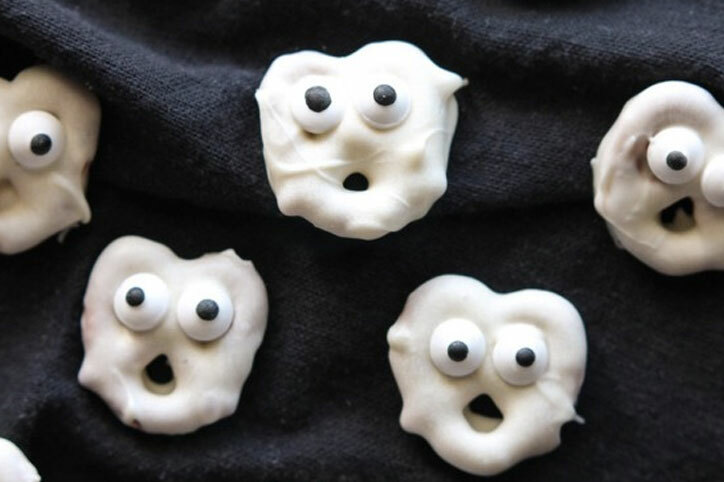 Ghost Pretzels via Dessert Now Dinner Later: quick and easy ghosty pretzels made with dipped pretzels and candy eyes. 7. 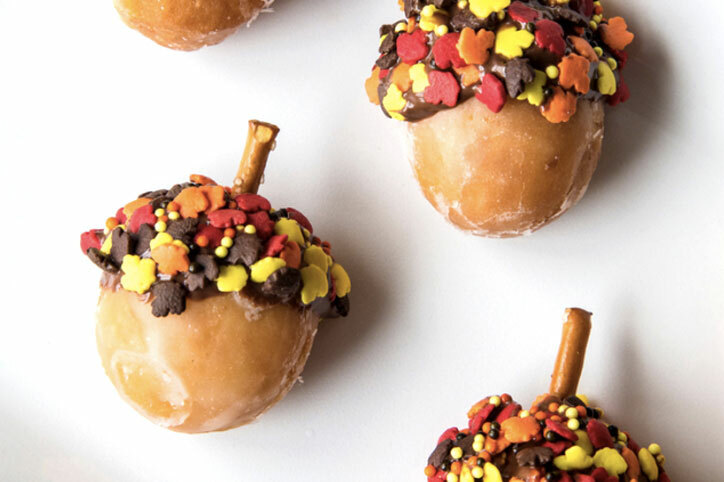 Acorn Donut Holes via Mom Spark: These aren’t spooky or Halloween-y, but they sure are cute and seasonal! 8. 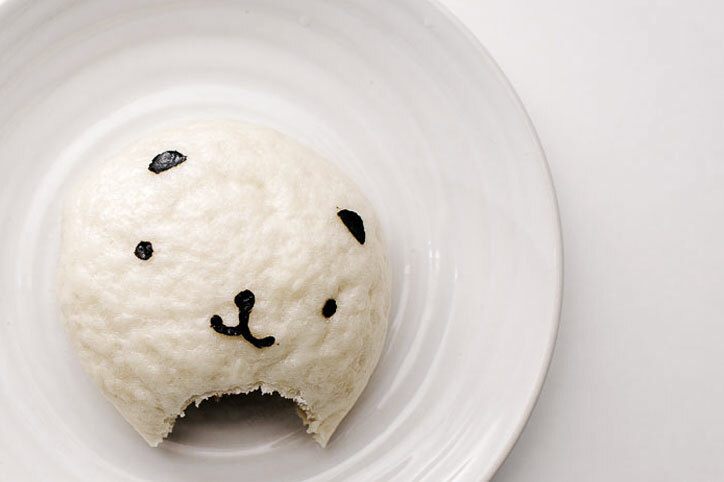 Panda/Bear Barbecue Pork Buns: If you’re getting tired of sweet things, maybe these cute and fluffy bbq pork buns dressed up like bears are more your style? 9. 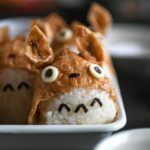 Fluffer Nutter Mummies via Bakers Royale: crispy creamy peanut butter Fluffer Nutters dressed up as mummies! 10. 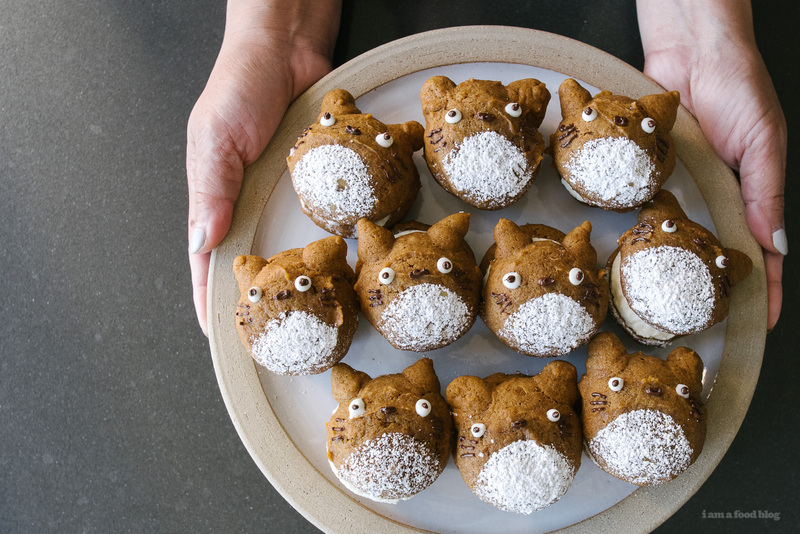 Totoro Pumpkin Whoopie Pies: These whoopie pies are delightfully soft and pumpkin-y. 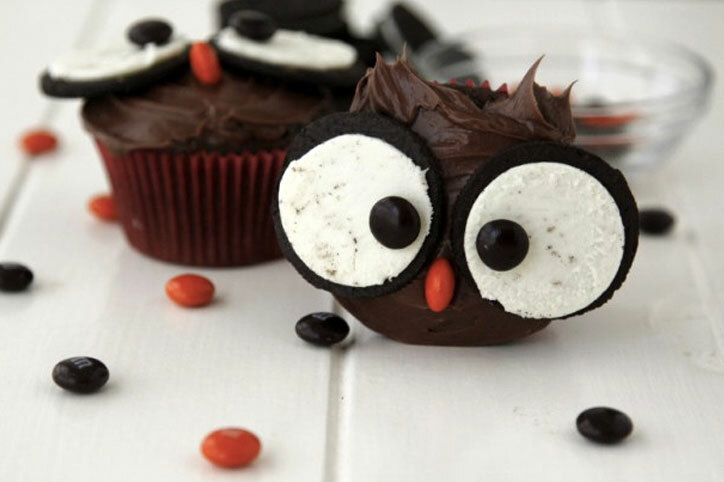 They’re filled with cream cheese frosting and are cute to boot. 12. 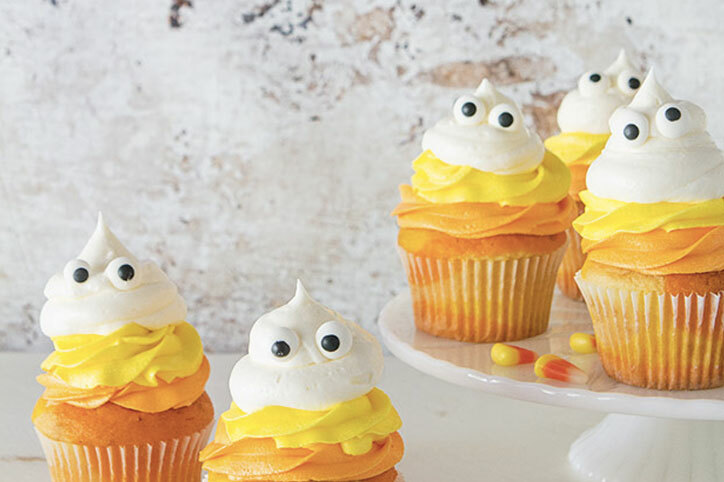 Candy Corn Ghost Cupcakes: Candy corn and ghosts together at last! I love how the cupcake is candy corn color too, not just the frosting. 13. 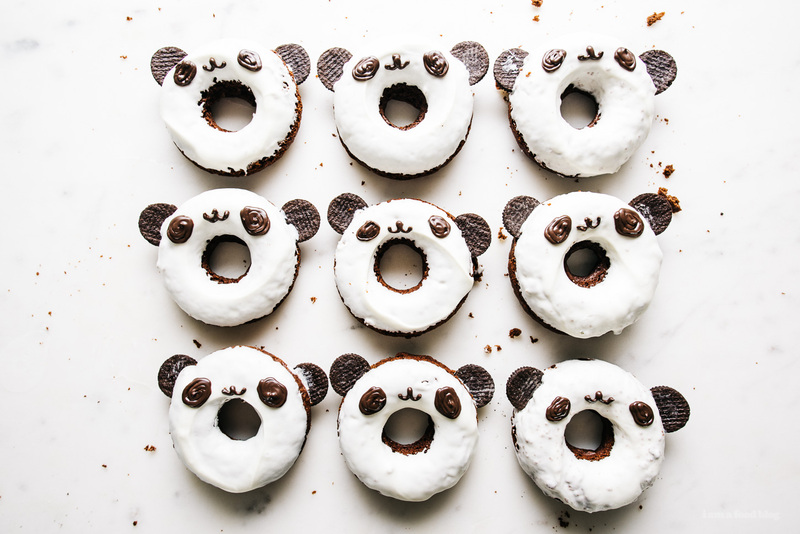 Baked Double Chocolate Panda Donuts: Black and white donuts all dressed up as pandas for halloween. yes! cute > spooky any day!